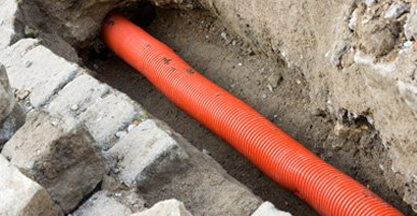 Clark Drainage is a drain network repair provider that gives rapid response twenty-four hour service. Our company has been supporting the sewage piping of Scotland since 2005. We are ready to go at any time, every day of the year, and have accomplished a standard response period of just 1-2 hours. for more than 10 years, we have managed to build an army of technicians who have the experience and training to deal with any problem they are presented with from drain cleaning to full installations. This allows us to deal with issues quickly employing the most cost-effective strategies, which yields price savings which will be reflected in our costs. In addition, we believe in working as transparently as we can which is why we’ll present you with a fully fleshed out quote prior to starting work. In addition, our staff will be as informative as is possible and can remedy any questions you might have to make sure you will always be kept in the loop. Having fantastic staff is important, but there’s a limited amount they are able to achieve without the right gear. We arm our technicians with all the best cutting-edge technology which enables them to finish any job from residential drain unblocking to huge industrial installations. We also stock our vans fully with everything they might require at all times, so there is no reason to delay with regards to commencing work. Since we have premises across the country, we can employ the resources of a national organisation without sacrificing the fast, thoughtful, and meticulous service of a local company. Regardless of whether you need a crucial emergency call-out or simply need to plan some routine upkeep, you can always depend on Clark Drainage. Phone us today on 0808 164 0776. Of all the diverse tasks we are hired to complete, Blocked drains are far and away the most frequent. They can come about with absolutely no forewarning and have a good chance of doing substantial damage in no time at all. Our sewage systems are constantly under assault from harmful substances. If it is not soap and hair in the bath, then it is grease and oil from our dishes. Even though you may do everything you should be doing within the home, there is very little you can do about the leaves and plant matter which gain access from outdoors. There are steps you can take to avoid these issues from developing, however it is quite normal for a clog to show up even when a system is fairly looked after. When sewage pipes cease working correctly, you need to employ a professional company with pressurised water jetting technology. There is a good chance you will assume blocked drains are at most an inconvenience. However, in reality, the water damage and flooding which may follow will do serious and costly damage to your residence. It is essential that drain unblocking is performed as fast as possible to prevent architectural complications, widespread flooding, and waterlogged gardens. We will always respond to crisis jobs first which means that whenever the circumstances are critical, we will frequently arrive within an hour. Employing our state of the art pressure jet equipment, even the most persistent of blockages can be a a thing of the past in next to no time. 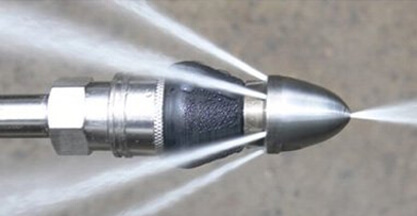 The benefit of the water jets is that while they can cut through tree roots and cut build ups of grease, they will do absolutely no damage at all to your pipes, unlike some substitute methods. To sustain our fantastic service and policy of dealing with every blocked drain as quickly as possible, we have made ourselves accessible every minute of every day. When it comes to a problem as imperative as this, you can’t waste a second. You need access to specialists whoyou are able to rely on fully. This is where Clark Drainage comes in. Blocked drains unfortunately don’t just operate during ordinary office hours, and therefore neither do we. We are accessible round the clock, each day of the year, to ensure that we are always there when you really need us. In terms of a dilemma as urgent as drain unblocking, you must make sure you are working with industry experts that it is possible to rely on, so get in touch with Clark Drainage today. Getting your pipes cleaned is the simplest method to decrease the risk that clogs will build up to start with. Don’t forget, blocked drains do not just instantly appear, they are the result of the progressive build up of countless contaminants and detritus. 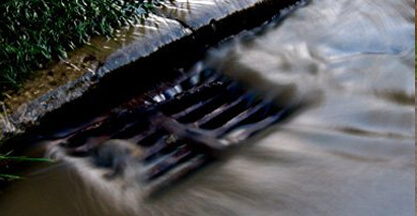 Drain cleaning will assist you in keeping this unavoidable occurrence under control. Hiring professionals to perform water-jetting at regular intervals will ensure anything undesired within your system is swiftly shifted along before becoming a concern. The whole process normally takes only an hour or so, rendering your pipes fully clear which leaves it inexpensive, extremely cost-effective, and able to save you an extreme headache. Even if you are not encountering any of these issues, you may well still have an elusive clog gathering within your drainage network. 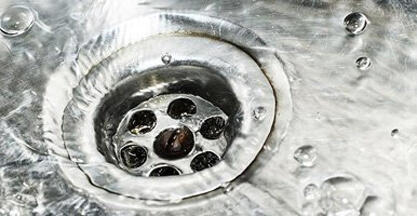 It is much more secure, and simpler, to undertake drain cleaning prior to there being a problem as opposed to getting it fixed after clogging takes place. Not every drainage issue is easy to figure out, even for the most experienced drainage technicians. This is due to the fact we are unable to see any complications directly using our own eyes as they are situated in deep concealed pipes. 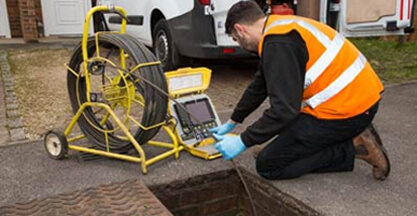 Fortunately, we have a device at our disposal that enables us to get our technicians down and inside your drainage system to have a comprehensive view of precisely what is occurring; High-definition CCTV Drain Survey Technology. A survey will involve sending a high-definition camera on the end of an amazingly long and tough wire through your pipework, so that we can both locate and analyse whatever is causing the issue. By acquiring a fully detailed view of what’s going on, we can create a strategy which corrects the situation fast and properly, which creates savings which are reflected in your bill. In order to offer the very best customer service, we think it is important to ensure our customers are as in the loop as we can. This is why we will provide video footage of the problem we discovered inside of your system along with a full summary of the survey. 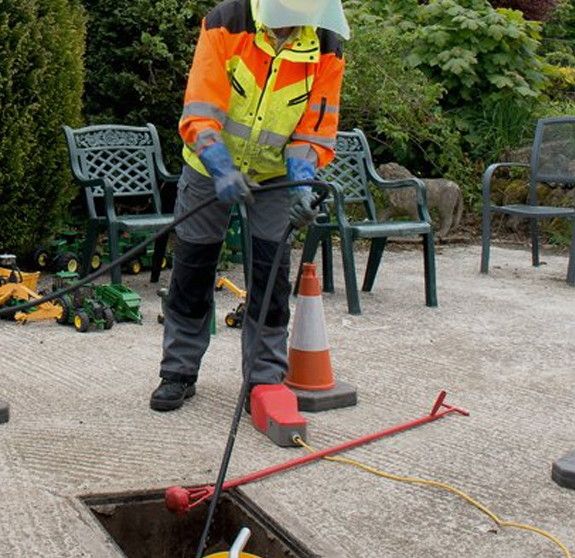 Our CCTV Drain Survey technology is able to locate obstacle, making it possible for us to attend to any pipes that happen to be blocked, have collapsed, or have been invaded by tree roots. Excavation is, unfortunately from time to time an essential part of drainage upkeep. We will use our high-pressure water jets to get most tasks, like blocked drains, finished remotely. However, from time to time, we will have to tear up some terrain so we can get up close to correct broken pipes. With a lot of unskilled businesses, excavation can be astonishingly costly and time-consuming. However, our teams have been equipped with the tools and teaching to help make the procedure as efficient as it can be. Whether you want merely a portion of a pipe changed or a whole network revamp, our specialists will get to work promptly and conduct the required reparations efficiently, making what could be an awful process totally smooth. Water is capable of doing an enormous level of damage in a very short timeframe, so there cannot be any delay when it comes to getting your system back in working condition. Mentioned above, our company is ready to go every second of the day on every day of the year. With facilities throughout Scotland, we’re never far away. We have achieved a typical response time of 1-2 hours but tend to regularly show up considerably more quickly as we prioritize emergency situations. We also supply our teams with the technology they require to start work straight away, saving precious time and possible water damage. Accepting poor quality service in regards to drainage upkeep will easily turn into a costly and stressful error. You should always be employing people you can trust. 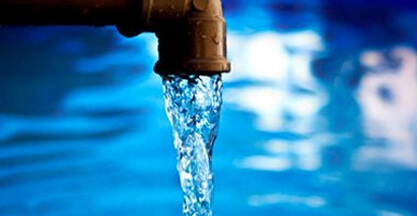 Waterflow and drainage systems are something that that individuals regularly take for granted. The pipes are underground and, all running nicely, they are usually out of sight and out of mind. That quickly changes when something stops working. Clark Drainage is here to offer every last service you need to keep things operating smoothly and at capacity in a professional, cost-effective and unintrusive manner. If you’d like to arrange a service now, like drain cleaning, drain unblocking, or an emergency repair, you are able to get us at 0808 164 0776. Otherwise, complete the enquiry field to the right side of this site, and one of our personnel will get in touch with you the instant we are able.